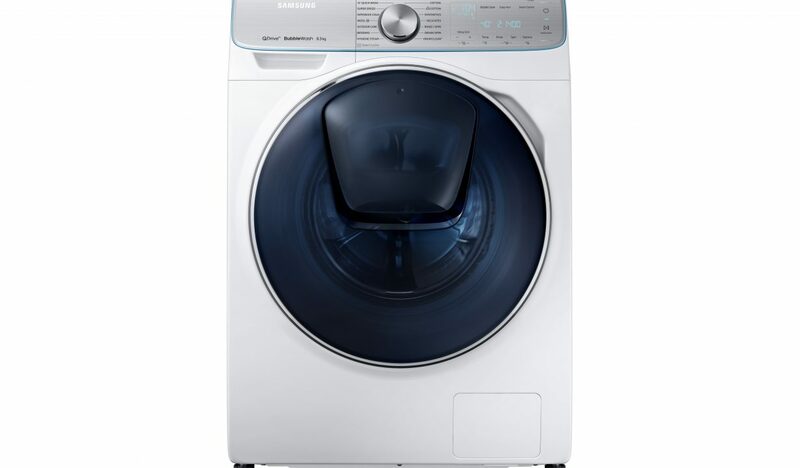 Samsung’s QuickDrive™ Front Load Washing Machine is designed to cut washing time by up to half. Combined with the SmartThings app’s Q-rator intelligent laundry assistance, Samsung’s popular Add Wash® door, and steam wash cycles that reduce up to 99.9% of certain common bacteria, this is a game-changer in laundry appliances. 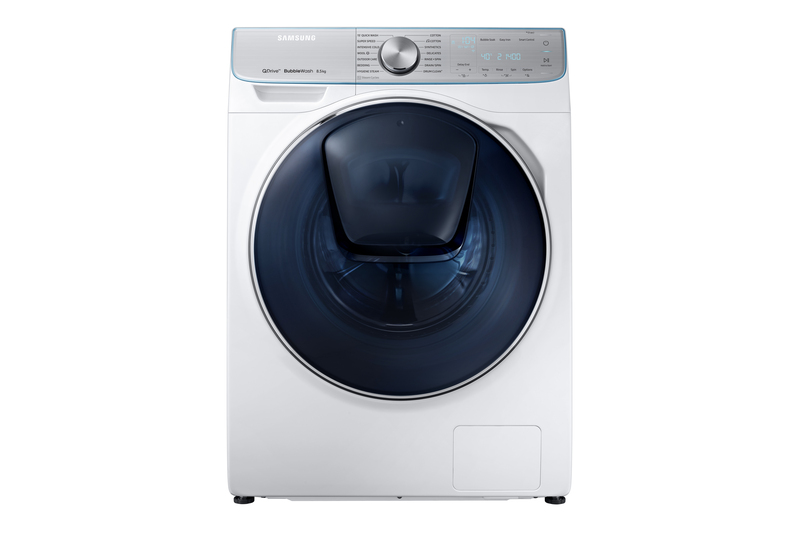 According to Samsung’s Australians@Home research, the average Australian household spends almost six hours per week doing laundry. What if there was a way to make washing more efficient and convenient without compromising on washing performance, fabric care, or durability? Samsung’s QuickDrive Front Load Washing Machine range has been designed to cut washing time by up to 50% compared to our previous model. QuickDrive technology uses two independent motions, with the main drum moving clothes from top to bottom, whilst the independently rotating back plate introduces a back and forth movement. This creates a dynamic action that quickly, gently and powerfully removes dirt to deliver a complete wash in less time. On the Super Speed Cycle, users can now power through 5kg of washing in 39 minutes. Rinsing time is also shortened through Speed Spray and accelerating the spin speed. Samsung’s QuickDrive Front Load Washing Machine reduces the time it takes to do a load of washing by up to half while still providing a full cleaning performance. The addition of intelligent laundry assistance delivered by the Q-rator functionality within the SmartThings app, the AddWash door, and a reduction of up to 99.9% of certain common bacteria makes this a landmark laundry appliance. - Stylish Crystal Blue Door and Internal Drum Light - a full-width crystal blue door, not only looks stylish but helps make it easier to load and unload clothes. The drum light helps you see inside. - 15 min Quick Wash Cycle - allows you to wash up to 2 kg of lightly soiled laundry in just 15 minutes. - Q-Rator - AI-powered laundry assistant that acts as your personal laundry expert and recommends the optimal wash cycle for each load. You can also manage laundry finishing times, get alerted when complete and trouble shoot. - AddWashTM – gives users the ability to add items during the wash, without draining the drum - Steam – Steam wash cycle options reduce up to 99.9% of certain common bacteria.